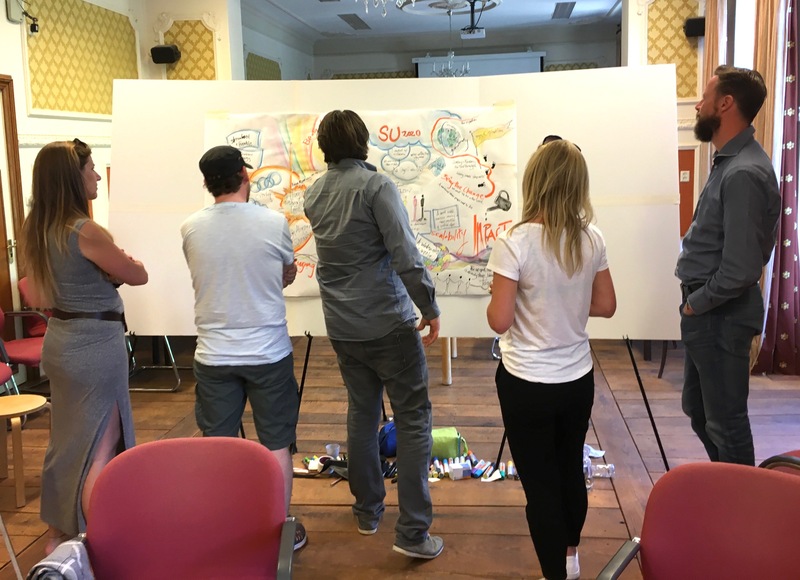 “Helped to bring our team together, to face reality, and hopefully encourage change and action”. A two-day transformational programme for any private and public sector team with the need to harmonise a set of diverse stakeholder agendas and create a common path for collaboration, creativity, and innovation. This programme is in itself a product of DIVERSITY. 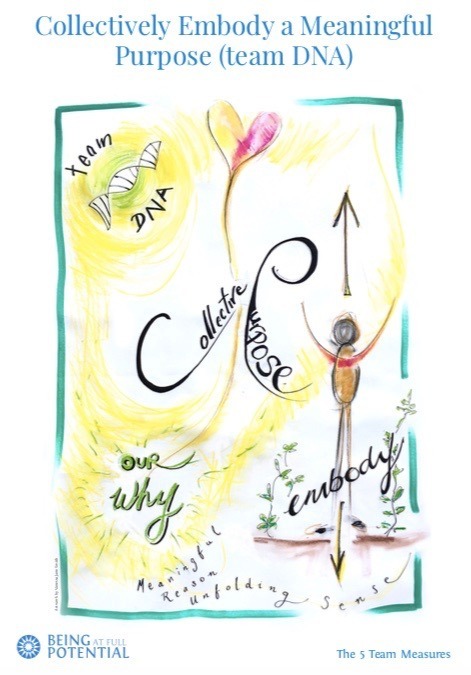 It harnesses the artistic genius of Visual Facilitator Vanessa Jane Smith, founder of Crafting Connection, and the Human Potential facilitation expertise of Sujith Ravindran & Mark Vandeneijnde, co-founders of Being at Full Potential. It was several years ago when we first stepped into the “space in between” our two projects, and let that inform the nature of this programme. Now, many projects later, we have witnessed the power of our synergy and are excited to further bring it out into the world. We have recently co-created a Summit on Human Potential in the Netherlands and one on Diversity in India and will shortly be delivering one on Culture Change in New Zealand with projections in other countries. 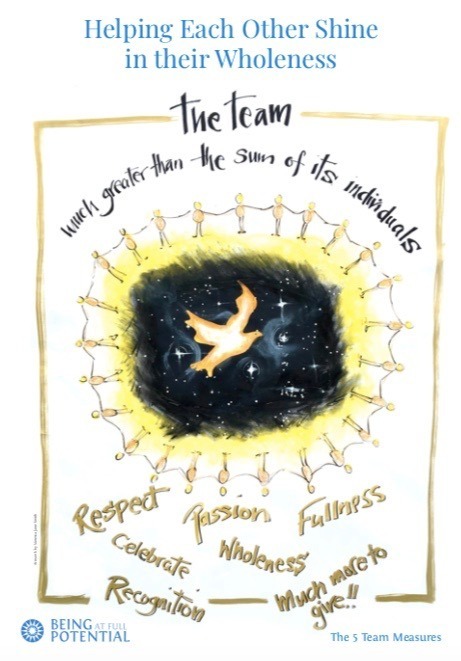 The 2-day Full Potential Team Programme has been carefully designed to capacitate teams and resolve the most complex dilemmas they are facing. Whether it be bridging the generational divide, unlocking cross-functional / cultural/generational synergies, identifying the next breakthrough innovation or even resolving the inherent tensions between Profit and Planet or People and Productivity. The working space that we create invites all stakeholders to show up in their FULL diversity with their different experiences and points of view. However, before engaging this diversity we first take quality time to co-create a set of shared standards & practices that unify the way in which the group will work together during these days. 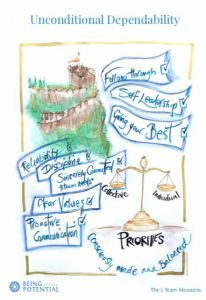 This process of coming together and agreeing on a set of operating principles is critical to establish a trusting platform upon which our differences can be respected and ultimately synergise in service of a greater good. After having “set the scene” we can start engaging with the tensions and step into the questions that we don’t yet know the answers to. Being in the middle of knowing and not knowing is what we refer to as the “space in between”. By definition, this will be an uncomfortable experience but it also has the potential to be a transformational one, where new insights are revealed and tremendous creativity is unleashed. 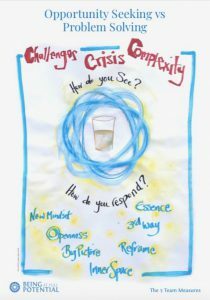 We believe it is one of the most important and urgent skills we must learn in order for individuals, teams, and organisations to thrive now and in the future. 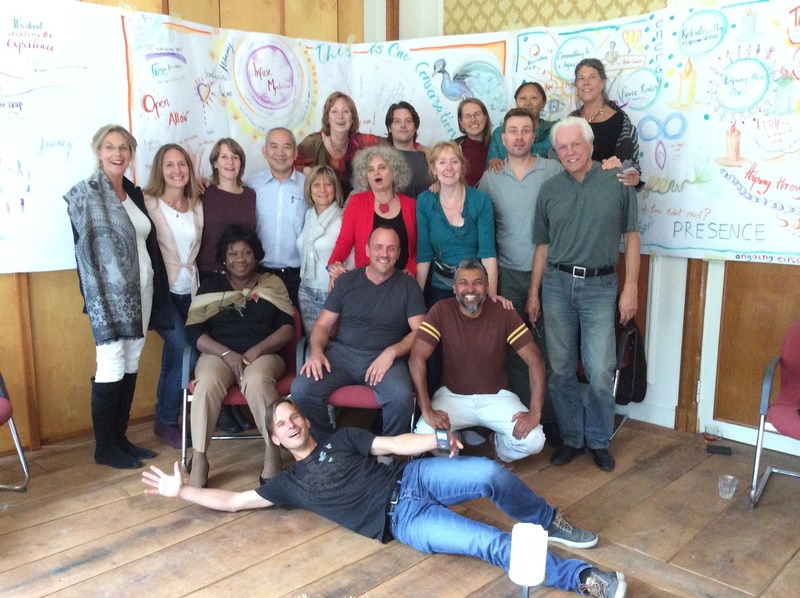 We guarantee huge breakthroughs for groups that genuinely engage in this process! 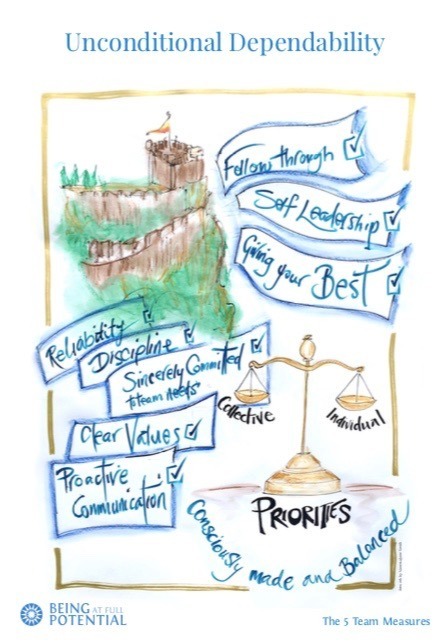 We have identified 5 FP Team Measures as being crucial building blocks to creating full potential teams. 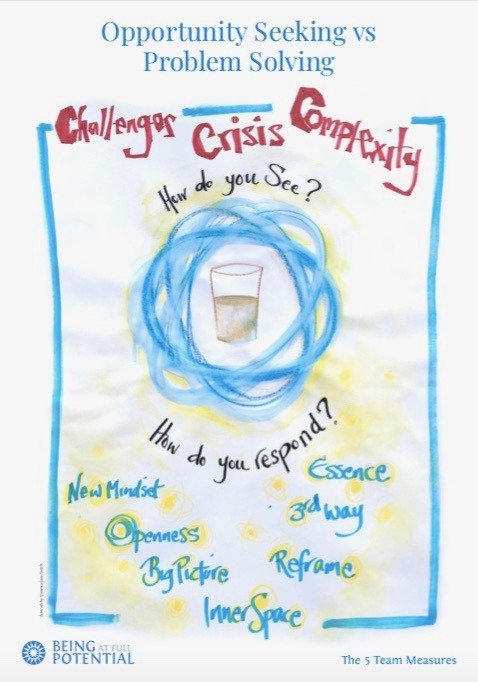 Crafting Connection created these hand drawn, full colour posters as part of our team training to raise awareness and inspire powerful conversations during the training. They are available for your workplace from us. What benefits can I expect from this programme? 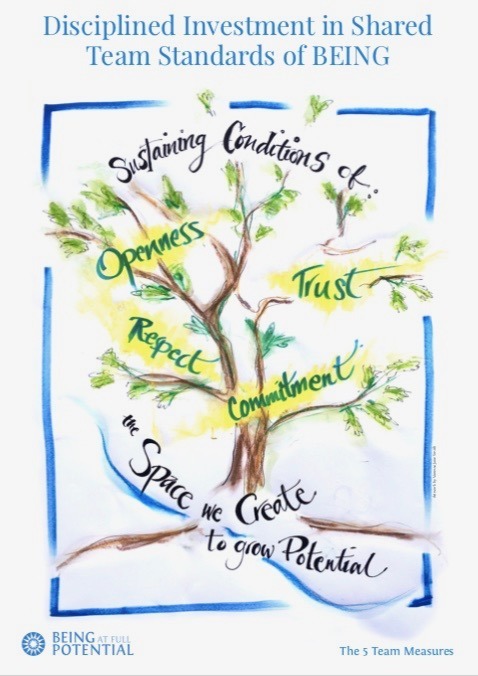 More transparent and respectful communications, being seen in our full human diversity, greater alignment & commitment of intentions, initiation of co-creative projects, a sense of flow and actioning, with an outpouring of creativity and sense-making. Essentially everything that engages our human spirit and makes the “bottom line” flourish. Both private and public sector teams where there is a need to harmonise a set of diverse stakeholders and agendas in order to unlock a common path for collaboration, creativity and innovation. For example, Team Leaders who are responsible for multi-functional collaboration and project delivery. What situations work well with this process? Situations of complexity, seemingly unresolvable dilemmas and tensions or differences. Essentially all situations where shifts in mind-sets (or the “unfixing” of mind-sets) and perspectives are needed to unlock creativity & new opportunities. Situations where there is need to express the unspoken tensions in a non- judgmental way. How many people can participate in such a session? Between 6 and 20 participants. What kind of pre-session work is needed? There will be some pre-programme exercises that will bring more awareness of the dynamics that are both enabling and limiting participants’ effectiveness (making the invisible a bit more visible). An open mind and willingness to explore “the space in between”. What shifts will we notice after the session? Excitement, sense of possibility, inspiration, commitment to follow through, a deeper and more compassionate understanding of each other, concrete next steps. What comes next and what is needed afterwards will show itself naturally and you will know what the appropriate action will be. However, it is important to establish and put in place the new rituals & behaviours / commitments that will allow this new potential to flourish and fully manifest. We consider that post programme coaching and mentoring support is essential for this initiative to take root and flourish throughout the organisation.